Cycle lanes can be painted across junctions, to give a sense of continuity to cyclists, and remind left-turning traffic that they should only overtake if it is safe. 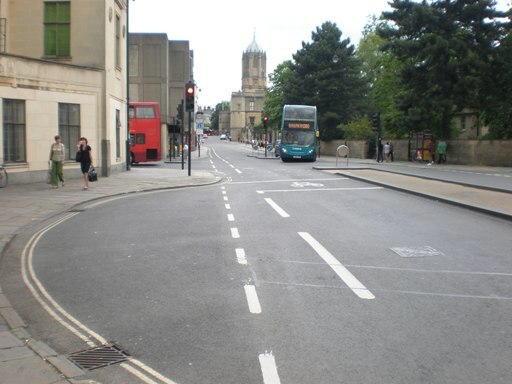 This arrangement has been installed at three junctions in Oxford that had accident problems with left-turning vehicles, with positive results. The cycle lane is interrupted only for the ASL and the crossing.